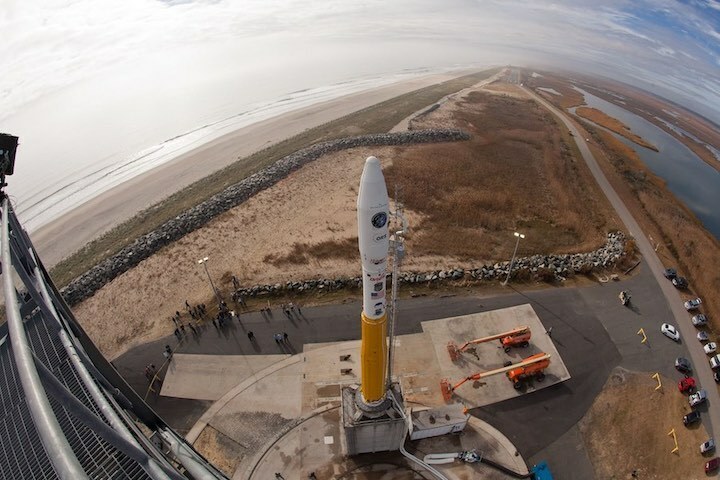 This year’s launch campaigns will begin with the liftoff of Northrop Grumman’s Antares rocket April 17 from pad 0A at the Mid-Atlantic Regional Spaceport, a launch base run by the Virginia Commercial Space Flight Authority on property owned by NASA’s Wallops Flight Facility. 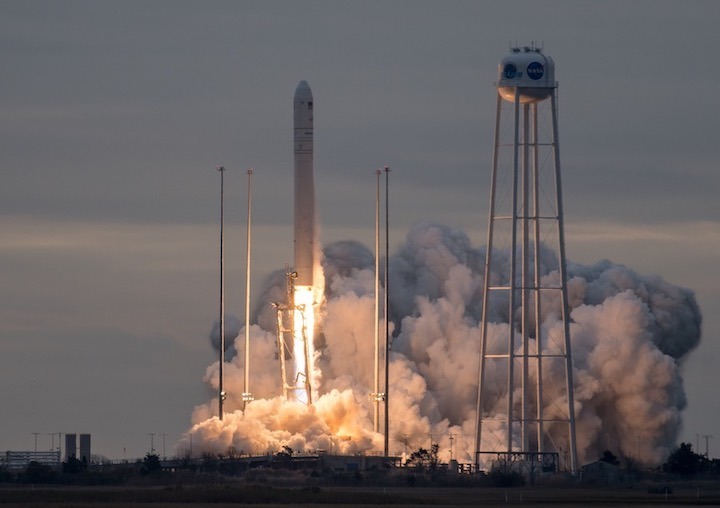 The Antares rocket will loft Northrop Grumman’s Cygnus freighter on a resupply mission to the space station, the 11th Cygnus launch under a $2.9 billion cargo transportation contract with NASA. In a written statement, Galbreath said the Air Force awarded the NROL-129 launch contract in December 2017 to Northrop Grumman Innovation Systems, then known as Orbital ATK. The NROL-129 launch order is valued at $38 million, and the Air Force is paying Northrop Grumman $29.2 million under the terms of the previously-announced NROL-111 launch contract for the Minotaur 1 mission. Launch services were both missions were arranged through the Air Force’s Orbital/Suborbital Program-3 contract. Details about the spacecraft launching on the NROL-129 and NROL-111 missions are classified, Air Force officials said. 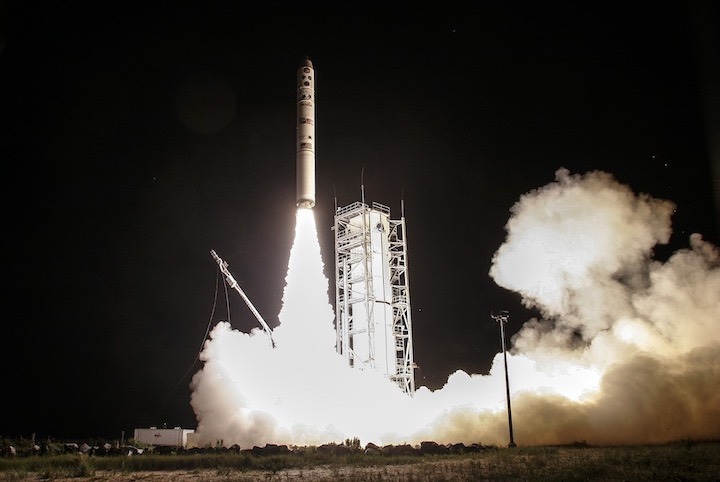 The Air Force also declined to release more specific schedules for the Minotaur launches, but multiple industry officials confirmed the missions are scheduled for liftoff this year. The Minotaur rocket program is managed by Northrop Grumman to launch satellites for the U.S. military and intelligence agencies. The U.S. government bars Northrop Grumman from using decommissioned missile components for commercial satellite launches. The Minotaur 1 launcher, with a height of nearly 70 feet, has a perfect success record since debuting in 2000. Eleven Minotaur 1 missions have launched to date — five from Wallops and six from Vandenberg Air Force Base in California — and the Minotaur 1’s most recent flight occurred in November 2013. The Minotaur 1 rocket can a payload of up to 1,278 pounds (580 kilograms) to a low-altitude orbit around Earth. The Minotaur 4 is taller and more powerful than the Minotaur 1, capable of hauling 3,814 pounds (1,730 kilograms) to low Earth orbit. Northrop Grumman has launched four Minotaur 4 rockets on satellite delivery missions to orbit since 2010, all successfully, along with one launch of the Minotaur 5 rocket, which adds a fifth stage atop the Minotaur 4 stack. The previous Minotaur 4 and Minotaur 5 missions have lifted off from launch pads in California, Alaska, Virginia and Florida. The National Reconnaissance Office typically launches its payloads on bigger rockets than the Minotaur. Only one NRO satellite has launched aboard a Minotaur rocket, riding a Minotaur 1 into orbit in 2011 on an experimental technology demonstration mission. The upcoming Antares and Minotaur flights, coupled with construction of a new launch facility for Rocket Lab at Wallops, could make 2019 the busiest year for orbital launches from Virginia’s Eastern Shore since 2013. If Rocket Lab gets a launch of its Electron rocket off from its new pad by the end of December, as the company currently plans, launch activity in 2019 could set a record for the highest number of orbital missions departing from Wallops in a single year.